It is a pleasure to be back. 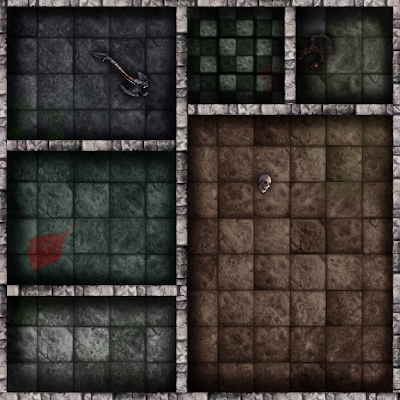 Just to recap, I stopped writting this blog meanwhile I was searching for good D&D images that matched the look and feel of the original game for my already designed cards. Some weeks ago, some users from the Board Game Geek web page encouraged me to go on with this blog and I have decided to come back with a new template for you (thanks everybody for your support). 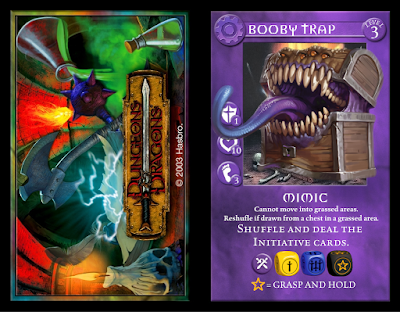 These Booby Trap cards were shuffled with all the rest of treasure cards and the Heroes could have enough bad luck to draw one of them and suffer a trap or a curse. As you may know, this kind of cards only came with the base game and there were only 7 cards of this type. 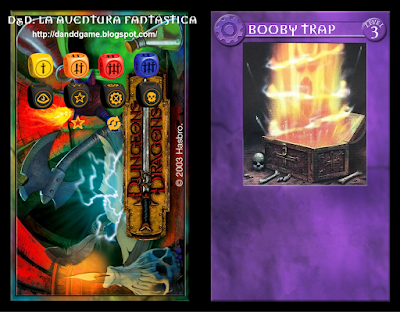 If we choose to play with an expansion set, the probability of drawing one of these Booby Trap cards goes down. The Mimic is one of the most classical monsters from D&D and it is also one of the most dreaded among the Heroes. Thanks a lot for still coming to this blog. Para los que no lo sepáis, dejé este blog aparcado mientras no encontrara más imágenes que considerara adecuadas para las cartas que ya había diseñado. Hace unas semanas algunos usuarios de la Board Game Geek me animaron a continuar y vuelvo con una nueva plantilla bajo el brazo (gracias a todos). Estas cartas de Trampa Explosiva se mezclan con el resto de cartas de tesoro y puedes tener la mala suerte de que te toque una trampa o una maldición. 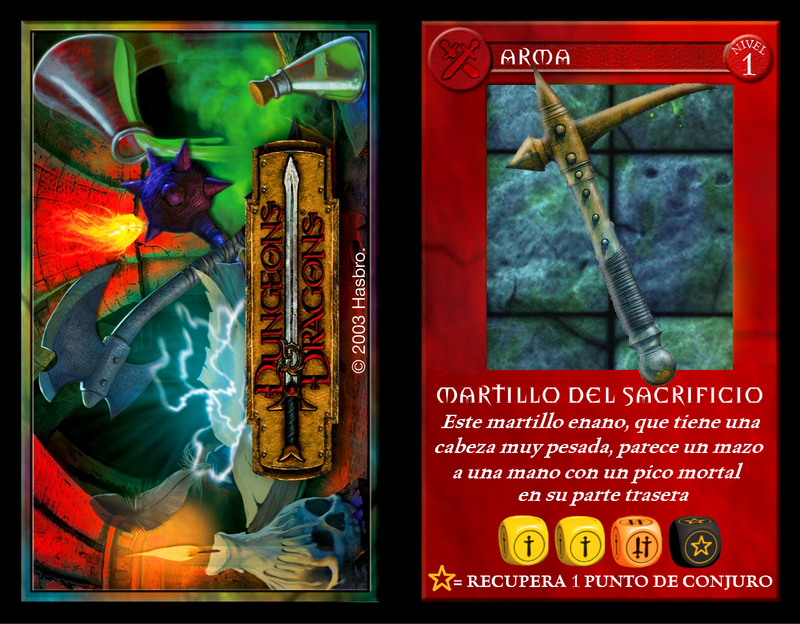 Como sabréis, este tipo de cartas sólo aparecen en el juego base y sólo existían 7. Si jugamos con una expansión, la probabilidad de que te toque una de estas cartas desciende. El Mimeto es uno de los monstruos clásicos de D&D que más miedo provoca entre los Héroes. Muchas gracias por seguir visitando este blog. Recently user "Unknown" wrote a comment to the article F.A.Q. (in the Spanish version) in which he expressed his doubts about if Heroes can or cannot do the same action twice in their turn. For example, attacking twice or moving twice. Although the Players Guide says no word about it, this question was answered in the official F.A.Q in question number 17. While answering "Unknown" I realized that limiting the heroes actions by not allowing them to make twice the same action was a really clever way of increasing the adventure's dificulty. Jozan could no longer heal one hero twice in the same turn nor he could heal two different heroes nor even being himself one of them! 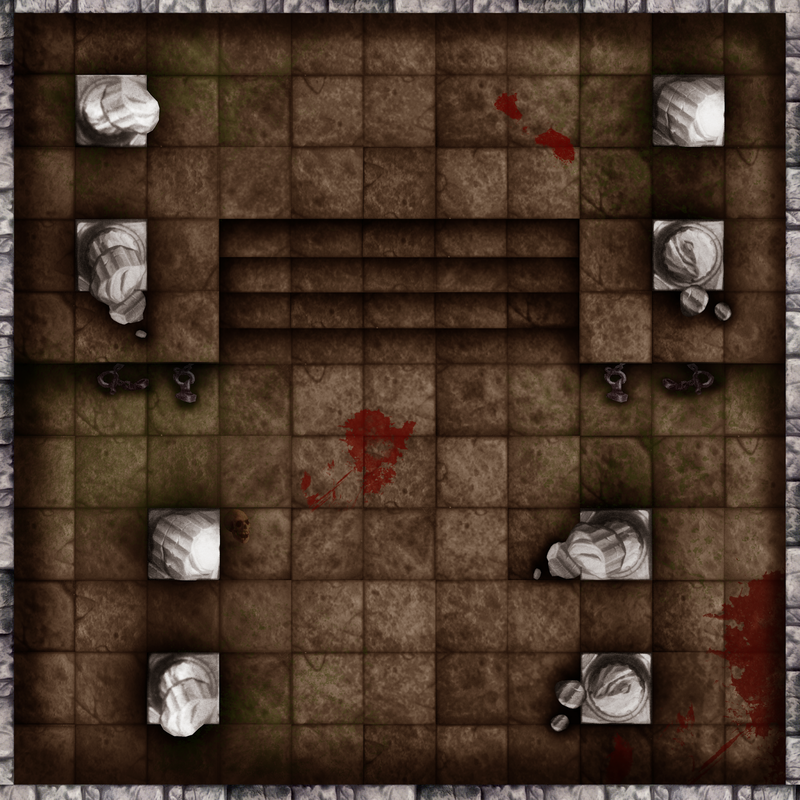 allow certain monsters (golems anyone?) or every monster to attack twice each turn instead of just once. Recientemente el usuario Unknown dejó un comentario en el artículo Preguntas frecuentes donde expresaba sus dudas sobre si los héroes podían o no realizar dos veces la misma acción en su turno. Por ejemplo, moverse dos veces o atacar dos veces. Aunque la Guía del Jugador no lo dice claramente, en el FAQ oficial, en la pregunta 17, sí. Al responder a Unknown se me ocurrió que impedir que un héroe realice dos veces la misma acción es una excelente manera de dificultar la aventura. A few days ago IndieSN got in contact with this blog to offer some tiles he had created. I sincerelly recomend you to download them all as they are of very good quality. Thank you so much IndieSN for sharing with this community your creations. Hace poco IndieSN se puso en contacto con este blog ofreciendo unas secciones de tablero que había creado. Os recomiendo a todos que las descarguéis ya que están muy bien hechas. Muchas gracias IndieSN por compartir con la comunidad tus creaciones. 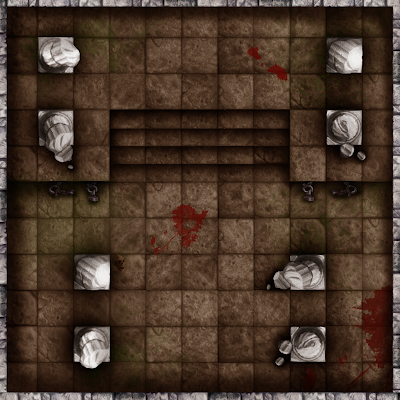 A reader of this blog, Eveliuz, has asked me to do a step by step video tutorial on how to create new cards for Dungeons & Dragons: The Fantasy Adventure. This video has all the steps writen in its footer. I am sorry they are only in Spanish but I think you will understand everything without reading them anyway. This video has no sound. I recomend you to watch it on full screen as it is a screencast. This video is not complete but covers the main steps to create a card. If you don't understand a step, don't hesitate to ask me in the comments section. A petición de un lector del blog, Eveliuz, aquí os muestro una videoguía sobre cómo crear vuestras cartas para Dungeons & Dragons: La aventura fantástica. El vídeo tiene los pasos escritos al pie del vídeo y no tiene sonido. Recomiendo verlo a pantalla completa. Si no entendéis algo, preguntad aquí. El vídeo no está completo pero tiene los pasos principales para crear una carta. 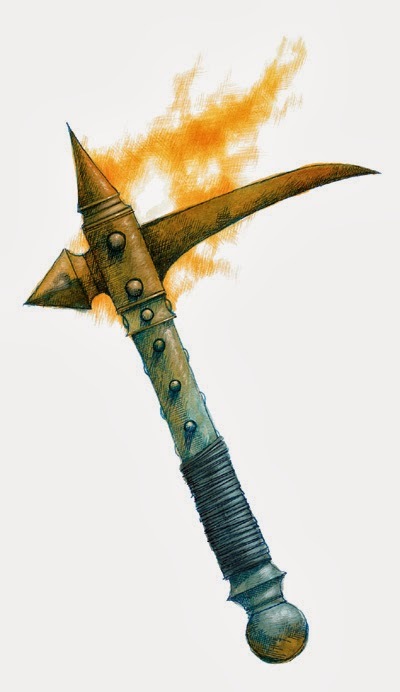 Today I want to show you Kathra's weapon for level 2: the Hammer of sacrifice. As Glistening forge is an expansion focused on a dwarven settlement, I think making the majority of weapons the heroes encounter to be made by dwarves is pure logic. The Hammer of sacrifice can make from 1 up to 4 Hit Points of damage with the possibility to recover up to 1 Spell Point. You can notice that this weapon is slightly more powerful than the Blessed bow of the elves or the Mace of faith. Moreover, it is as powerful as Regdar's Double-handed broadsword. This has been done to make it clear that the paladin will be more focussed on weapons than on spells. What do you think about it? Do you like it? Would you change anything? 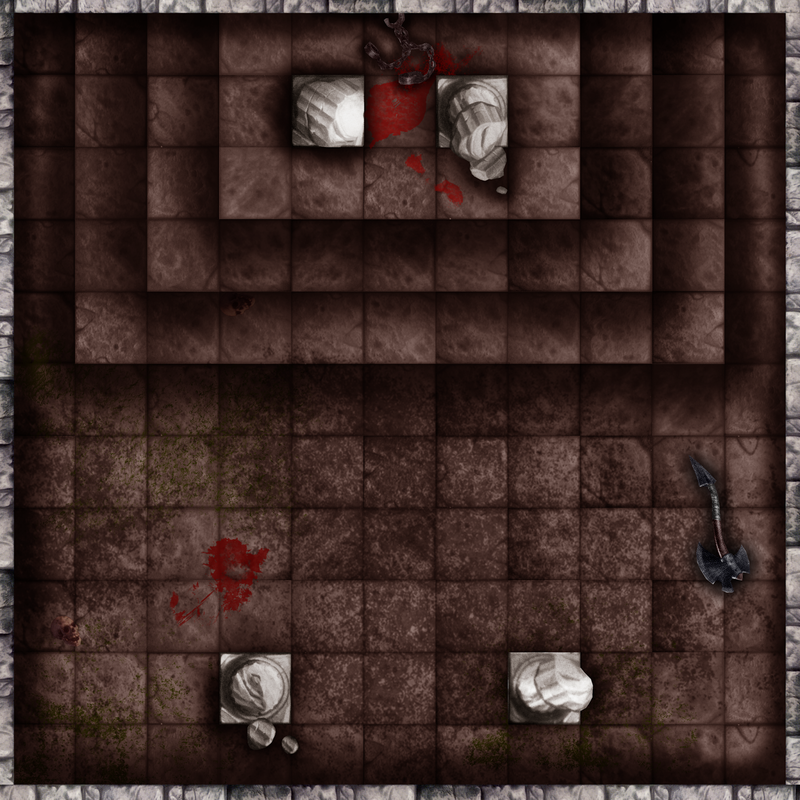 Hoy os voy a mostrar el arma de Kathra cuando alcanza el nivel 2: el Martillo del sacrificio. Ya que La Forja Reluciente es una expansión centrada en un asentamiento enano, es lógico que la mayoría de armas que se encuentren los héroes sean de creación enana. El Martillo del sacrificio puede hacer de 1 a 4 Puntos de Golpe con la posibilidad de recuperar hasta 1 Punto de Conjuro. Si os fijáis es ligeramente más poderosa que el Arco bendecido por los elfos o la Maza de la fe. De hecho, es tan poderosa como la Espada bastarda de Regdar. Lo he creado así para que quede claro que la paladín estará mucho más centrada en las armas que en los conjuros. ¿Qué os parece? ¿Os gusta? ¿Cambiaríais algo?